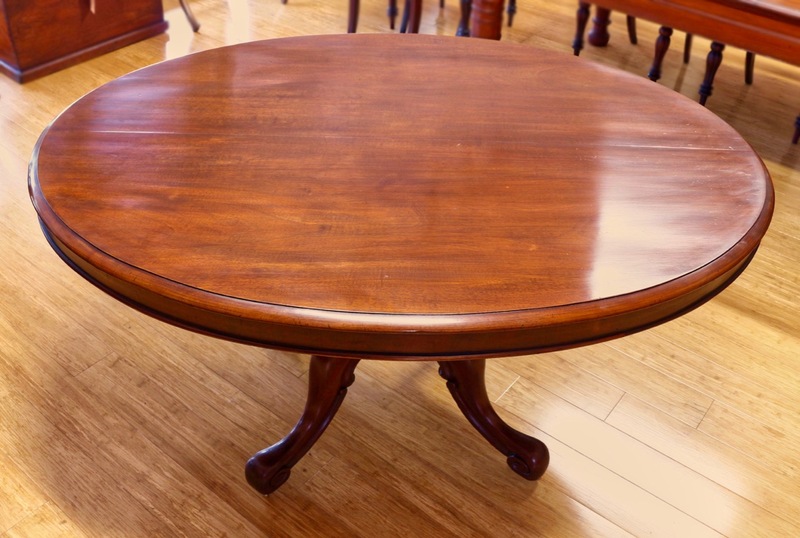 A very interesting Victorian Mahogany Centre Table, of oval form with a turned column above a quad form shaped base. 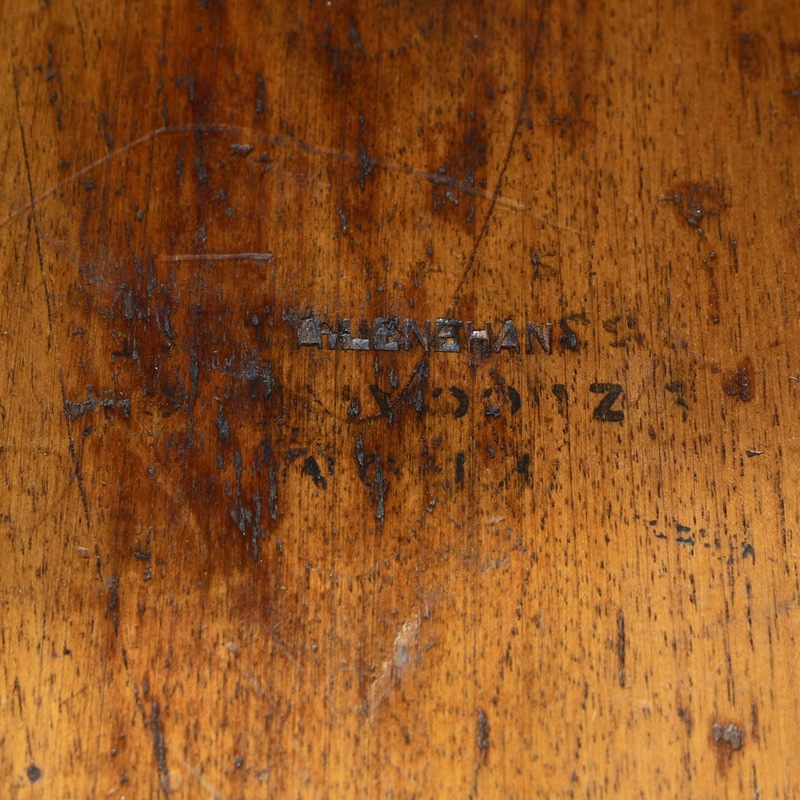 The table bears the impressed stamp of Andrew Lenehan in three places and the stencilled mark of Emilio Zuccani & Co in two places. 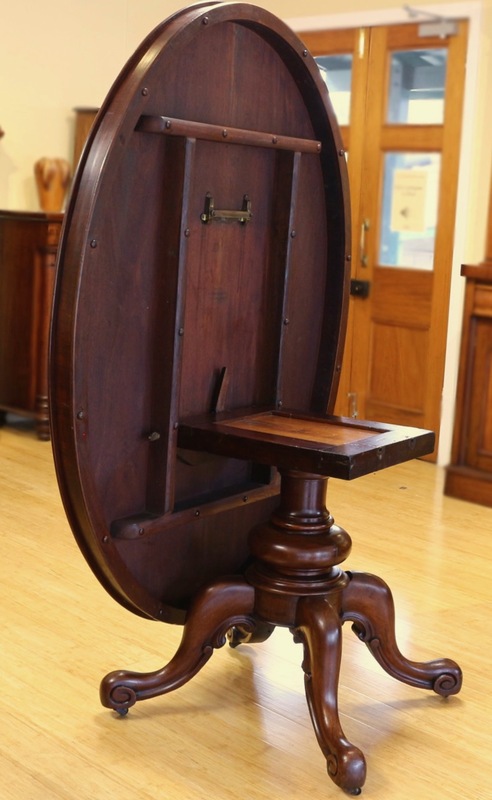 They were both very good Sydney cabinetmakers who also imported and resold furniture by other makers at times. 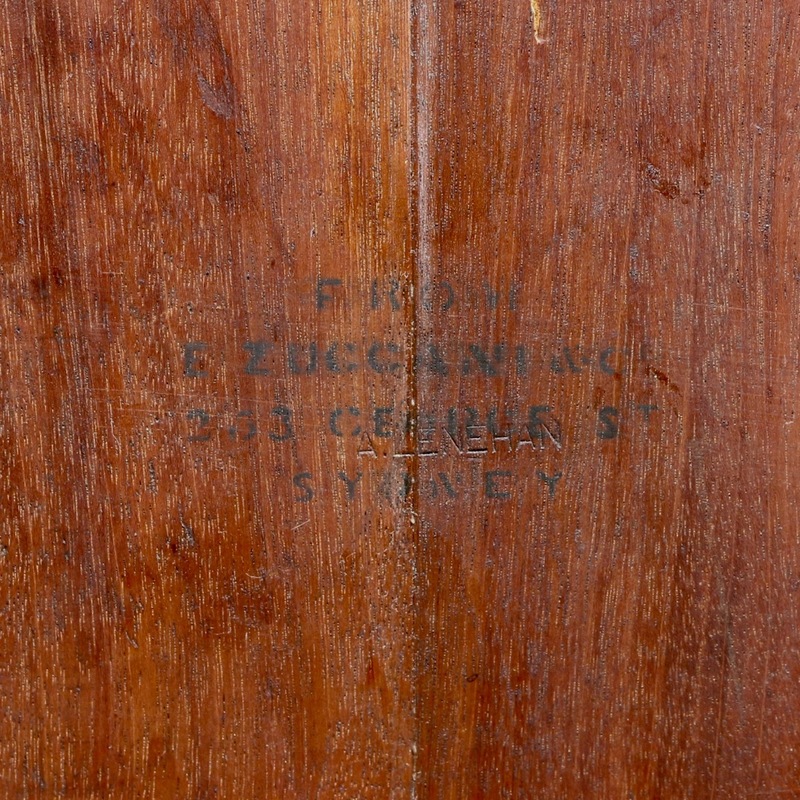 The Lenehan and Zuccani marks were used between about 1860-73. 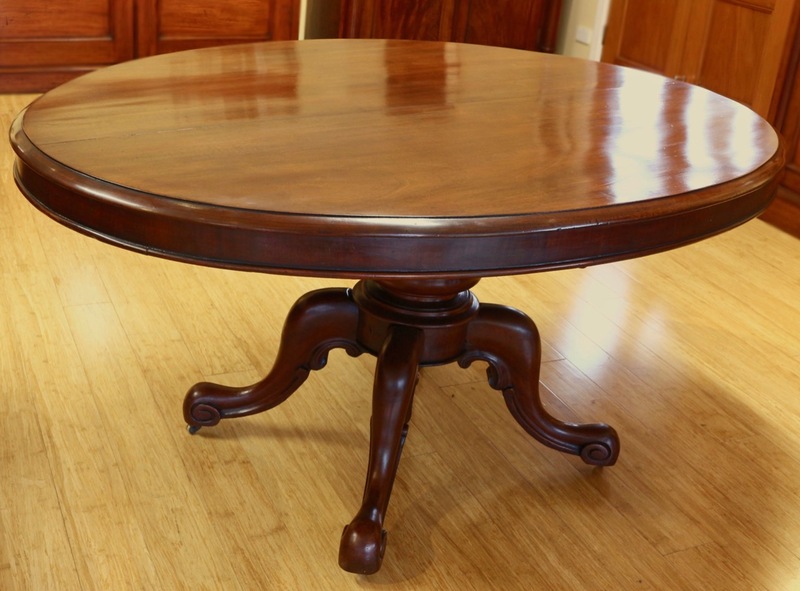 This piece is of English origin, but we also include it in our Australian category because of its interesting history. It appears to have been made in England, imported to Australia, probably by Lenehan and then resold by Zuccani at a later date. The Zuccani stamps seem to have been placed so as to make it harder to see the Lenehan stamps.